These zionists with their convenient extermination of brown skinned people, driving blackhawk helicopters and carrying AR 14’s, who practice imperialism and colonialism with the zeal of so many little dictators. These zionists, in bed with our fascists, who make convenient deals and then go home to spew hatred about jews at their dinner tables. Some ally you have their my friends. I hope they helped you achieve your aims. I hope you got what you wanted. I hear that now you (chucky) are threatening US citizens who are fed up with this nonsense and the use of their names to perpetrate this. You’re right wing cronies still want to talk about the jewish and liberal media only after they sell you 3 Bil worth of armaments, take your money and laugh at you, divide you, conquer you in your pig trough of violence, Upper East Side Manhattan and West Los Angeles smuggery. Have fun over there driving your lexus and mercedes cars to Synagogue and Temple while you call real jews, those who actually care about their own people, the powerless and voiceless: “Self Hating”. Who is it really that hates the self? The history of the Damascus Protocol, Sykes-Picot Agreement and the Balfour Declaration is fascinating. One interesting breakdown may be found in “The Balfour Declaration by Jonathan Schneer | 2012”. It attempts to present the motives and actions of the different factions within the Arab Revolt, Zionist movement, British & Ottoman government circles, all within the dynamics of the unfolding ‘War to End all Wars’. We even have a cameo appearance of Ambassador Henry Morgenthau’s attempts at peace negotiations with the Young Turks, long before he ever sat at the Bretton Woods Summit after WWII. From the post-WWI British Mandate to the Gulf War, the TTC Great Courses, “Palestine, Zionism & Arab-Israeli Conflict” and “The Middle East” fill in some historical gaps to the current Israeli-Palestinian situation. TE Lawrence’s “Seven Pillars of Wisdom” is a personal account of the Arab Revolt. One must remember that Balfour was a member of the War Cabinet and translations can be misinterpreted if taken out of context of the larger discussion. We see that in the Anglo-Arab correspondence over the term “Vilayet” when discussing borders of a future Arab nation with Hussein. In the 2/24/1917 8:30PM Balfour Telegram to the US Secretary of State, the prospect of unrestrained submarine warfare may have significantly cut into war profits for American Arms manufactures in addition to loss from unpaid debts if Great Britain were to lose the war as the telegram seemed to suggest. We see a later account of alleged war profiteering from Smedley Butler’s “War is a Racket”. Trade routes through the Suez Canal to the Far East and the Oil fields of Arabia were a priority for Great Britain’s coal-to-oil naval upgrade strategy[Drahl], as well as East India Company trade The overland Berlin-Baghdad Railway competed with that lucrative arrangement. Having Jewish and Muslim community support against Germany would help to win the war and prevent threats to the Suez Canal, but French and Russian allied interests could not be ignored, as well as religious contentions between northern Shiite and southern Sunnis. Concurrently, Alfred Milner of the War Cabinet was interested in linking the British empire with a Cape-to-Cairo railway. Similar gambits can be seen, today, with the New Silk Road[Hardy, Wiki] and proposed oil pipelines through Syria[Wiki, ZeroHedge]. Genie Oil & Gas[Genie] looks positioned to profit from any breakthrough on this front. Correction: Balfour was First Lord of the Admiratly in 1915 and Foreign Secrectary from 1916 to 1919. He was not a member of the War Cabinet. Did I miss the part that the Balfour Declaration was the Zionist’s reward for drawing the USA into WWI, accomplished by a ruse carried out by the German foreign secretary and financial deputy of the German Zionist Association Arthur Zimmermann? By sending a bogus telegram asking Mexico to join a German campaign against the USA, sending it through British oversea cables, instead of using the German Giant Transmitter in Nauen/Germany, as it was standard after the British had cut German oversea cables, and sending it to the German Embassy in Washington D.C., instead of the German Embassy in Mexico City, Lord Balfour was able to personally hand over a deciphered version of the Zimmermann Telegram to President Wilson, who immediately declared war on the German Reich. According to Chaim Weizman’s memoirs, the “Balfour Declaration” priorly had been prepared by Woodrow Wilson, Lord Balfour and himself. Vice-Chief of the British “Versailles Treaty Commission”: Lord Balfour. Chief of the “League of Nations Reparation Commission”, which in 1923 set the amount of reparations to be paid by the German Reich on 223 Billion Goldmarks, the complete Reich having an estimated value of 355 Billion Goldmarks: Lord Balfour. The Mandate over Palestine was given to the League of Nations which immediately passed it over to the British Empire. The “Balfour Declaration” then was integrated into the preambel of the mandate contract. All that is a fascinating conspiracy theory, but I can’t help but notice you’ve not bothered to provide a speck of evidence for any of it. Inverted Hasbara (false flag “anti-Zionist”) propaganda trolls often post “alternative facts” and “fake news” to distract and confuse discussion of key historical issues and significant points of fact concerning Zionism and Israel. Arthur Zimmermann was State Secretary for Foreign Affairs of the German Empire from 22 November 1916 until his resignation on 6 August 1917. He had no connection to German Zionist organizations. Since at least 2010, Inverted Hasbara troll “Max” has been posting the same garbage on various sites under names like “MaxxMurxx” and “Max Murx”. When I read articles like this, I always look at the authors views of what should be a just future for Jews and Palestinians. Most of the time they speak of a Palestinian state, as does the author.. A Palestinian state is unrealistic, the control of borders, airspace, water and just about anything of value is unlikely to change. The two state solution push becomes and obstacle. What should happen is that all citizens be granted the same rights and that the non-Jewish population have support to make this happen. I don’t know what the official position of Jews For Peace is, but their statements and their actions seem to recognize this. The standard reply is that this is not going to happen, the Jewish community won’t let it happen. I am not so sure. There is a strain, very strong, of committing to justice and speaking against injustice and could well be that the Jewish world community makes one state with equal rights for all a reality. “In South Africa, there was never the segregation of roads that you see in the occupied West Bank, there were never the walls you have here. In South Africa, settlements were not used to ethnically cleanse the population. And then there is a well-known practice of torturing the Palestinians (including children) in the “most moral” prisons of Israel by the “most moral” progeny of the Bolshevik/Soviet sadists. Yep. The Likudniks and other right-wing Zionists have made the creation of a sovereign, contiguous State of Palestine impossible – which of course was their stated goal from the start. I agree that at this point the best thing for all concerned would be the establishment of a single State, with “Right of Return” immediately granted to all those families driven off of their homelands since the start of the Zionist Colonial Ethnic Cleansing program near the start of the 20th century. And all other immigration should be halted until the situation is made just and safe for all. But there are a LOT of very raw edges to be smoothed out for all those peoples to unite as one. I suggest that Israel take one more lesson from the former Apartheid South Africa, and create a Truth and Reconciliation process. Give everyone on all sides a decade or so to confess their human rights abuses with full amnesty for all but perhaps a handful of terribly egregious crimes. It may well require an international peace keeping force to prevent or halt extreme violence. Once that time period is expired, then prosecutions for human rights violations would be appropriate and necessary. Provide housing for those refugees of the century of ethnic cleansing in those lovely suburban “settlements” built illegally upon their land. Require all schools to have student bodies representing all the local ethnicities. As a US American, I would demand our country, and all of our NATO allies to stop providing any money or weapons to Israel, but instead spend a similar amount building the infrastructure that would encourage a vibrant, secular society to develop. We have no right to demand a One State Solution, but we do have the pocket book and bully pulpit to encourage it. And rather quickly, the zionist state became the new master, enjoying tons of money and political support from their colony in America, safeguarding their grip over Palestine. This is a really sad tragedy. 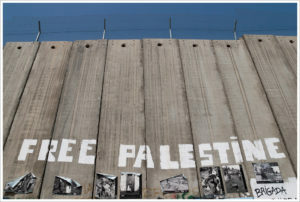 “Israel learnt two lessons from Britain that guided its subsequent struggle to quash Palestinian attempts at liberation. “First, Israel continued the draconian measures of British colonial rule. In the early 1950s, Menachem Begin, leader of the pre-state Irgun militia and a future Israeli prime minister, famously called Britain’s emergency regulations ‘Nazi laws’. “Nonetheless, they were incorporated into the military orders Israel uses against Palestinians under occupation. Significantly, the regulations are also still in force inside Israel against the country’s large minority of Palestinian citizens, one in five of the population. Israel has yet to end its seven-decade state of emergency. “The other lesson derives from the wording of the Balfour Declaration. It referred to the native Palestinians – then 90 per cent of Palestine’s inhabitants – as ‘existing non-Jewish communities’. It promised only to protect their ‘civil and religious rights’, denying them recognition as a nation deserving of political and social rights. “Israel followed suit. Palestinians in Israel were characterised as ‘the minorities’, or generic ‘Israeli Arabs’, rather than Palestinians. Israel’s perverse nationality laws assign them largely religious classifications as Druze, Arameans (Christians) and Arabs (increasingly synonymous with Muslims). “In occupied East Jersualem, Palestinians are denied all national and institutional representation. And in the West Bank, the powers of the Palestinian Authority – supposedly the Palestinians’ fledgling government – extend no further than acting as a security contractor for Israel and carrying out municipal services like garbage collection. In practice, the PA’s severely circumscribed authority is confined to a tiny fraction of the West Bank. “As a result, the Palestinians’ national ambitions have shrunk precipitously: from Yasser Arafat’s struggle for one secular democratic state in all Palestine, to today’s enclaves in Gaza and slivers of the West Bank. “Israel has consistently rejected for Palestinians the very self-determination it once demanded from the British. “Netanyahu’s government is preparing to nullify any lingering hopes of Palestinian statehood with the most significant move towards annexation of Palestinian territory in 40 years, when Jerusalem was annexed. The plan is to greatly expand Jerusalem’s boundaries to include large Jewish settlements in the West Bank like Maale Adumim. is based in Kew in the London Borough of Richmond upon Thames in south-west London. Thanks for the link. I’m going to download every single one of the files/images to my own hard drive to avoid being left out in the cold someday on account of link-rot or Zionist Sabotage. Haven’t had a chance to look at them yet, nor read “State of Terror”. Hopefully Mr. Suárez will have located some of the deeply buried files the Brits have tried to make disappear. Things like the extreme degree of cooperation of the Colonial Police with the Zionists in suppressing the Palestinians and assisting those Zionists. The booklets I’m looking for are not available anywhere on the internet, and the London Archives where they’re supposed to be set up bureaucratic and cost challenges I couldn’t overcome. You consistently associate me with your term “Hasbera” — I have no clue what or who is Hasbera. A day or two ago you associated me with another [new] commenter here, “Bushwacker”, or something like that, as if I’m some sort of falsifying interloper here only to present fake news. – As I am in agreement with the majority of your comments here, your consistent hostility is very puzzling and off putting. That said, I ask for your honest commentary on the below question without your misplaced sarcastic antagonism, please. —– The below C&P states that Gomer is the father of Japheth — these are the “facts or non-facts” that contribute to great misunderstandings/or the falsification of history —- aka “fake news”. This is a question that necessitates a clearly-explained and well-defined answer. The bulk of American Jews (roughly 90%) are known as “Ashkenazim.” The singular being “Ashkenazi”. The Ashkenazim are descendants of Germans. The ancestor is even recorded in the Bible, “Ashkenaz.” (1 Chr. 1:6) Ashkenaz is the grandson of Japheth, Gomer being his father. Japheth, (The Extender) according to the Table of Nations (Gen. 10:2-5 ff. 1 Chr. 1: 5&6) is the father of the so-called “Euro-Asiatic” people groups, of which the so-called “White race” is a part. The Ashkenazim are indeed “Japhethites” and not “Semites” as they falsely proclaim. It is interesting to note that they are considered the “new Jews” by their their Sephardi counterparts. To expound further on the linguistic differences between the Ashkenazim and the Sehardim, the Ashkenazim spoke the more harsher sounding German and the concocted mix of German and Hebrew called Yiddish, whereas the Sephardim spoke the more “musical, lyrical” Spanish as Birmingham records. Regarding the phenotypical features of the Ashkenazim and Sephardim, Birmingham records, “…(the) German Jews had large, awkward looking noses, and lacked the the elegant refinement of the highly-bred, heart-shaped, olive-skinned Spanish face.” Undoubtedly they inherited that “olive-skinned Spanish face” from the Black African Moors who occupied Spain for 400 years. It was the Black Moors who brought culture and refinement to Spanish society and they spawned the Enlightenment era of all of Europe. This latter conclusion did not come from Birmingham but from another independent study. … or, is the above website another in the realm of Hasbera? It’s interesting that you neglect to mention the Mizrahim (Hebrew: ?????????). Those are Jews who are indigenous to the Middle East, and were essentially the entirety of Jews living in Palestine prior to the European Colonial Settler movement known as “Zionism.” Some Sephardim had migrated to Palestine (and MENA in general) following the Christian conquest of Spain, as Muslims welcomed Jews whom they have always seen as fellow “people of the Book.” But most Palestinian Jews were still Mizrahim. Genetically, Mizrahim are barely distinguishable from indigenous Palestinian peoples of Christian or Muslim religious beliefs, which is one of the reasons that serious scientists of biology, archaeology and palaeography have come to understand that your Tanakh is basically a collection of fairy tales, with little to no connection with actual history. All evidence shows that the same biological population has lived in Palestine for at least the past 5,000 to 6,000 years. About 3,500 years ago, the Hebrew religion/culture evolved out of the preexisting Canaanite ones. Although the primitive followers of their new genocidal desert god tried to convert or replace their neighbors, they never succeeded in “conquering the Promised Land.” Apparently, two or perhaps three times, regional kingdoms under Hebrew rule arose, but neither lasted for more than a couple of hundred years. About 2,000 years ago, some of those people converted to the new Abrahamic religion that was created there, Christianity. Those early Christians were unique in that they did not apparently attempt to force people to convert, and so never rose to a majority. Then, about 1,400 years ago, almost all of the indigenous people converted to the newest Abrahamic religion, Islam. And though this new religion was created a few hundred miles away, and did indeed spread through the time-tested use of the sword for proselytizing, most of the Muslims in Palestine are still the direct descendants of that original, founding population. The very most generous a serious scholar can be towards your Holy Scripture is that some of the tales are “based on a true story” just like the Hollywood historical fictions that many people believe more than actual historical accounts of the events they purport to describe. Please note that being “in agreement” is not relevant. Having said that, by all means, let’s remember the Balfour Agreement. First, in response to your link to an article on Samuel Huntington at “Beyond Intractibility”, I posted a few comments. I noted that the site promotes both the notorious “PropOrNot” disinformation site and anti-Russian propagandists from leading “regime change” think tanks. Second, in response to my post of an article discussing the Khorasan terrorist group, you offered a link to an article by James Picht at “Communities Digital News”. In noted that Picht is an ex-USAID employee and Hasbara propagandist. I also noted that “Communities Digital News” is Conventional Hasbara (overtly pro-Israel) propaganda site masquerading as a “news” site. “Beyond Intractibility” and “Communities Digital News” propagnda is remarkably similar to the ravings of obvious troll “Balderdash”. Hardly evidence of anything “consistent” between us (unless you’ve been posting under a different alias). “Zionism Unveiled” is Inverted Hasbara (false flag “anti-Zionist”) propaganda site masquerading as “independently researched and verified” information. The site makes frequent reference to the Khazar hypothesis of Ashkenazi ancestry, often called the “Khazar myth” by its critics. The hypothesis has a complex history and has been used at times by Jewish Rabbis, Jewish historians, Jewish secular Zionists, anti-Zionists, and anti-Semitic racists. Inverted Hasbara (false flag “anti-Zionist”, “anti-Jewish” or “anti-Semitic”) propaganda trolls will insert Khazar myth references into the comment section to see if a whiff of soft-core “anti-Semitism” will get some play. You’ve demonstrated a puzzling consistency in links to propaganda sites. Not to accuse you of “hostility” or “antagonism” or anything like that. Good luck with all the researching and verifying, comrade. Glad I can help. Honestly. The mildly facetious remark, “let’s remember the Balfour Agreement” points to Israeli revisionist Zionist propaganda concerning the letter dated 2 November 1917 from the United Kingdom’s Foreign Secretary Arthur Balfour to Lord Rothschild, a leader of the British Jewish community. Israel celebrates “the Balfour Declaration” as if it were an “Agreement” to establish a Zionist Jewish state in Palestine. Historically, the decision to release the Balfour Declaration was taken by the British War Cabinet on 31 October 1917, following discussion at four British War Cabinet meetings (including the 31 October meeting) over the space of the previous two months. The “agreed” version of the declaration, a single sentence of just 67 words, was sent on 2 November 1917 in a short letter from Balfour to Walter Rothschild, for transmission to the Zionist Federation of Great Britain and Ireland. The Balfour Declaration contained four clauses, of which the first two promised to support “the establishment in Palestine of a national home for the Jewish people”, followed by two “safeguard clauses” with respect to “the civil and religious rights of existing non-Jewish communities in Palestine”, and “the rights and political status enjoyed by Jews in any other country”. The term “national home” was intentionally ambiguous, having no legal value or precedent in international law, such that its meaning was unclear when compared to other terms such as “state”. The term was intentionally used instead of “state” because of opposition to the Zionist program within the British Cabinet. The Zionist Jewish state was not established not by some explicit or implicit “Agreement” with the British documented in “the Balfour Declaration”. “Israel” was born in the wake of a decades long Zionist terrorism campaign that engulfed Palestine, setting the stage for seven more decades of turmoil, culminating in a nuclear-armed terrorist state that threatens to trigger the next world war. Ironic that Germany is presently being inundated with Arab refugees from a general region where the surviving European Jews were sent after World War II. I know these migrants are mostly from Syria and Iraq rather than Palestine, but they are just as out of place as any Arab in Deutschland and are essentially being driven out due to policy implemented by the descendants, in Israel, of the Jewish refugees from the 1940’s. As Yogi Berra, Abraham Lincoln or Einstein surely once said: “What goes around, comes around.” Nicht wahr? That irony may be due to the wish of progressive Germans to lead in benevolence, countering the responsibility of lesser sorts there for WWI-II. Maybe if Frau Merkel were truly “progressive” and altruistic, she would have, like her predecessor Herr Schroeder, opposed Amerika’s military adventurism in the Middle East. Without the war, the refugees would still be all cozy in their homes throughout Syria and its surrounds. German leadership made the wrong choice regarding race and ethnicity 75 years ago, and they’ve made another wrong choice by accommodating the present racist wars levied by their previous victims who use Amerika as their instrument. Time for Merkel to get a clue and just say “nein!” when the neocons aggressively recruit facilitators of the coming wars against Lebanon and Iran. With “friends” like Amerika and Israel, Germany and of all of Europe are assured of numerous mortal enemies and homeless refugees for decades to come. Time to tell Washington that the Bacchanalia of Death is over, as far as Europeans are concerned. For all of the misery that the Zionist have put the Palestinian people through, I am hoping that Miko Peled turns out to be the real deal. Lord Balfour’s Declaration in my eyes seems like a letter that grew to be bigger than the words it proposed, and it still blows my mind to how much mileage the Zionist were able to squeeze out of that awful document. I must also add, that the U.S. still needs to square itself with the Native American Indigenous, if the U.S. is too stand for the liberty and freedom, as it likes to brag about. Of course there are other minority groups the U.S. could do well by, but I mention the Native American simply, because it’s their land we are all living on. So, in order to support the disadvantaged Palestinian we Americans would do well to practice what we preach. The U.S. politicians who accept the AIPAC money are wrong on two counts. One the U.S. is working against its own interest in the Middle East by backing the Zionist regime. George Marshall tried to make this point to Truman, but Truman opted for the Zionist 2 million dollar campaign donation instead. The second wrong is proven by the U.S. politicians acceptance of the AIPAC Lobby’s money, and this monetary gesture is certainly an example of all that is wrong in America today. Money can’t buy you love, but it sure buys a lot of favors among the DC swamp creatures, and that’s a pure fact. Fuster, “In fourteen hundred ninety-two Columbus sailed the ocean blue…” and when he landed he devastated the native population. We have a parade for him every year, even though he was as some people say, and correctly so, a lost sadist. You want to deny the truth, be my guest. In fact have a parade. This entire topic is about the Balfour Declaration. The Zionist Propagandists are trying very hard to divert attention from the fact that outsiders (with massive armies) occupied a foreign land, then rearranged ownership so as to award it to a tiny minority. Big Power stealing for the Zionists is what happened, so the fusters of the world have to try to change the discussion into blaming the victims. As an energetic bunch of propagandists with unlimited resources, they’ve done quite well in their campaign. The zionist racist spouts the party line of opportunism. Comrade “fuster” is a Conventional Hasbara (overtly pro-Israel / pro-Zionist) propaganda troll. His English skills are bottom-of-the-barrel, and in my opinion there isn’t a college in this nation which would retain such a “student” unless his father is really, really rich. Probably a fanatic with a bad education – somewhere in Holy Israel. The mental agility of the guy points at “teenager” as well. Young Tel Aviv residents and students were interviewed about Iran and right-wing laws limiting the speech rights of their Palestinian-Israeli neighbors. The shocking responses reflect the deepening of racist and authoritarian trends in Israeli society. This video is the sequel to “Feeling the Hate in Jerusalem,” the video banned by YouTube, Vimeo and the Huffington Post after topping 400,000 hits. American journalist Max Blumenthal and Jesse Rosenfeld, a Canadian journalist based in the Middle East since 2007, have documented Israel racism. What’s not generally understood is that the Balfour Declaration was part of an allied (Britain, France, and Russia principally, but also Italy) secret diplomatic scheme to secure the support of world Jewry (before Germany did) and get America into the war on their side. See Friedman’s The Question of Palestine: 1914-1918 based on British Foreign Office diplomatic documents which have been declassified. They (Britian, France, Germany) also wanted to divert Eastern European Jewish migration away from their shores (or rather boundaries). All this is brought out clearly in Friedman’s book with direct quotations. 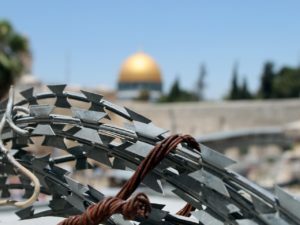 Together with the Holocaust, and European anti-Semitism generally, it shows how Europe as a whole is responsible for the Israeli-Palestinian conflict. They should acknowledge as much and be prepared to compensate the Palestinians big time as part of a final settlement (if it ever comes). Read this book and you’ll have a very different take on things. The Israeli GDP per capita is about $38,000 while ours does not exceed $2,000. But Israel obliges us to buy products at the Israeli market price. So the crappy little apartheid nation is already doing imperial things! That’s how the likes of the British Empire made all of their money, by buying goods (or labor) from helpless colonists inexpensively and compelling them to purchase things at any price they decide to put on the merchandise. perhaps, Smith, the incomes of the Palestinian Arabs would not be so low had they not gone to war against the Jews to drive them out and to prevent a peaceful partition. had the Palestinians built their own state, which was offered to them, and not rejected that state and spent their resources on making war ….and then turning to terrorism…… Palestinians would be in good shape by now. Palestinian Arabs made lousy choices, followed scummy leaders, and repeatedly made things worse for themselves. Fuster is full of bluster and an rsole to boot. is that how your local crack ho greets you? What part of “their OWN state” don’t you understand? This is a racist lie to blame the victims and honor the thieves. Thank you for this excellent interview! Mr. Mustafa Barghouti’s states that the Jewish people who entered Palestine after the Balfour Declaration were duped by the colonial powers which did them a great disservice by using them as pawns in the Middle East to extend their colonial rule. This is not my understanding based on things I’ve read. European Jews at the time basically were not Zionists, nor did they desire a state of their own. It was Jewish Zionists who were complicit in this agreement and from the beginning they were intent on creating a state, not a homeland, and their intentions were to ethnically cleanse the area of non-Jews, who were perceived by them as inferior. The Jews who lived in Palestine before the Balfour Declaration were not Zionists either, and lived in harmony with both the Arab and Christian populations.This is more likely the case when you consider when given a state in 1948 due to a lot of manipulations by Zionist in this country they ousted the Palestinians from their land through multiple acts of violence which continues to this day. It was a mindset put in place long before Israel was given the land of Palestine. Suárez researched declassified documents from the British National Archives, which describe the movement to create a Jewish state in response to anti-Semitism in Europe and Russia. According to these documents, many Jews resented the movement and its treatment of them as a race apart. They hated the idea that they should create yet another ghetto and, worse yet, make it on other people’s land. But for others, it offered the promise of an escape from persecution. “Messianic fundamentalism” became the driving engine of the movement to create a settler state, label it as an indigenous movement due to its location as the historic biblical land, and inspire disinterested Jews to populate it. Research into British archives reveals that Zionists intended to take all of Palestine and expel non-Jews from it. Not mentioned in the interview was the fact that the Balfour Declaration was made in November 1917 as a reward to Zionists Jews for having brought America into the war a few months earlier, in April 1917. The British had negotiated a deal with Zionists a year earlier in October 1916, a time when Germany was winning the war and offering to make peace. Here is a link to an incredible article that explains how the deal went down. And here is a link to a “confession” about the deal from a Jewish delegate to the 1919 Paris Peace Conference. The Balfour declaration is falsely invoked as a point of religious propaganda by the zionists. It is merely a statement that a Jewish colony in Palestine looks like a nice idea to Mr. Balfour, so long as the rights and property of Palestinians were in no way affected. The essential condition was ignored and violated by Jewish settlers. As I recall, it was never made an act of the British government. Always important to secure plausible deniability when executing policy of state. I agree Thomas Suarez is an excellent source. For readers’ convenience, a shorter article by him is online. Hagana,Stern and Irgun zionist terror gangs in Palestine. Invented suicide vest. O’s chief of staff was,Rham Emmanuel, isreali citizen, son of Irgun arms dealer.